Each shipper’s distribution network is unique, we take the time to understand the intricacies, nuances, and requirements of our clients. That attention to detail has made us well-versed in all major TMS platforms, Bid Management Tools, and Carrier Onboarding Requirements. We are there to support our carrier’s needs, and we make the process more streamlined and efficient for both parties. That focus empowers our carriers to meet the expectations of our shippers right from the start. Cindy joined the team at Select Carriers in 2006, prior to serving several roles in the manufacturing industry. She has deep expertise in logistics analysis and bid/proposal management. 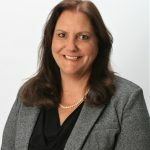 In her role, Cindy provides strategic and technical support for Select Carriers’ sales and marketing activities, especially as it relates to positioning carriers’ operational capabilities in proposals for shippers’ bids. Cindy holds a B.S. in Industrial Management from New Jersey Institute of Technology. Cindy is married with four children, and lives in Fairfield, New Jersey. Her dedication to family values spills over into how she serves our clients at Select Carriers. She enjoys attending her children’s many activities, reading and spending time with family and friends.